Located in Mayfair (and with a new second restaurant recently opened in the heart of the City), Goodman offers a uniquely British interpretation of a New York-style grill and serves the very best steaks from around the globe, uniquely dry aged in-house and cooked using bespoke Josper charcoal ovens. As a judge on Masterchef, John Torode cannot let his New York style restaurant ever be anything but brilliant. 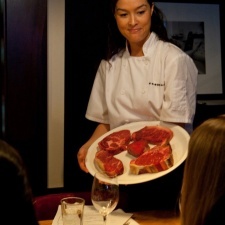 Fantastic steak, a fun crowd, fabulous service and a relaxed vibe - what more do you want?